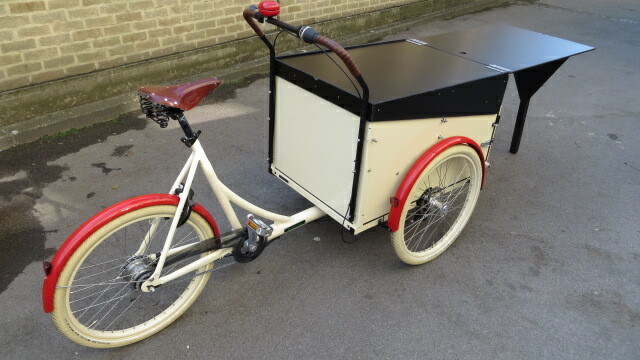 Here is a bespoke solution, constructed by our dealer, London Green Cycles. 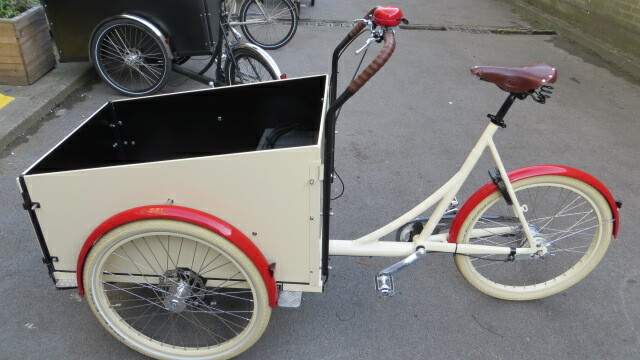 The family will use their Christiania tricycle in the morning to take the children to school. 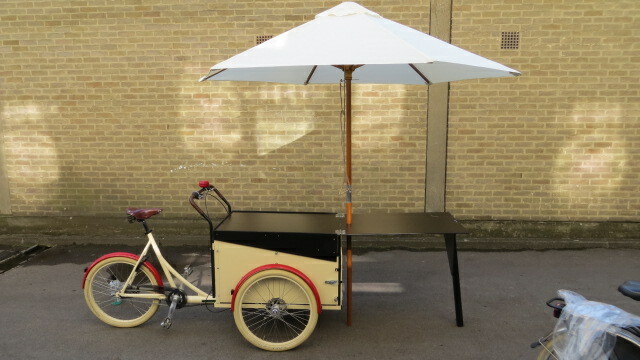 Back at home, the “market stall option” is loaded, and one of the parents will go to a local market, and sell speciality food. 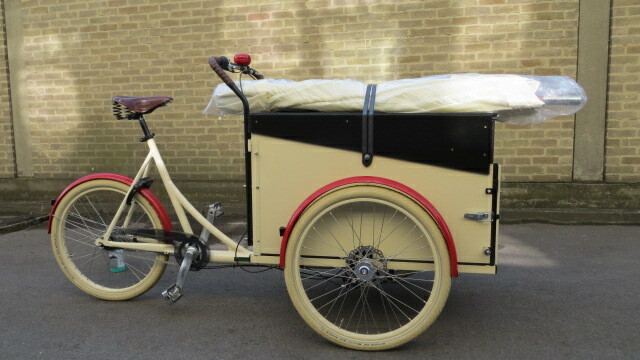 Yes it could all be done with a van, but not as fast, not as cleanly, not as cheaply and not with the same amount of fun.